I've always struggled with top coats as they tend to peel off almost immediately on me for some reason. That is until I discovered Orly's Polishield and now Nubar's Diamont. Both are joint favourites of mine, I really cannot choose between the two although Nubar is slightly cheaper. 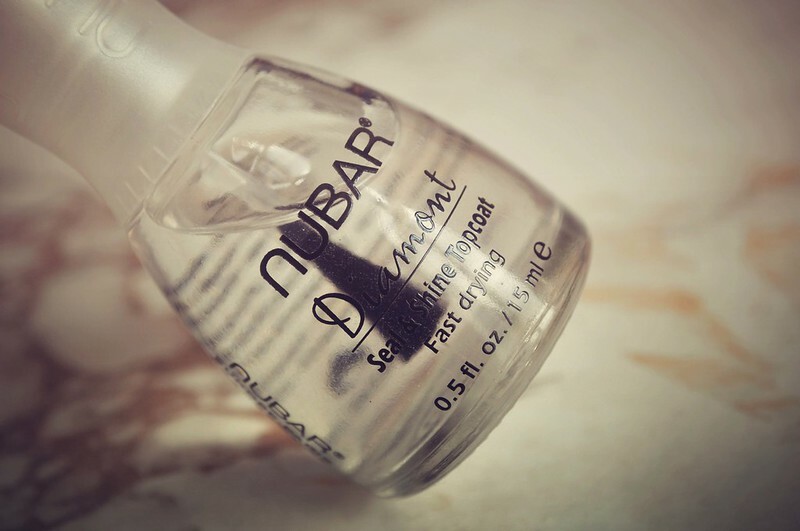 Not only is this a great fast drying top coat, it makes your nails incredibly glossy that they almost look like gel nails. They also feel like gel nails. Finally the best thing is that it makes my nail polish last which I usually have a problem with. I type a lot so I tend to get a lot tip wear but this really helps to slow it down. The only thing I don't like about this polish, and it's a very minor detail, is I'm not a fan of the lid and feel that it makes the polish look a lot cheaper. The normal polishes have black lids which look so much better.